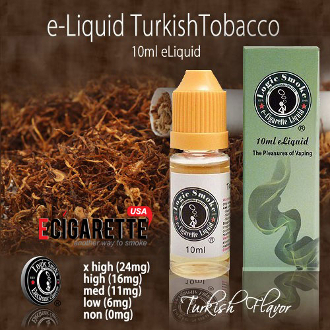 Our Turkish Tobacco e liquid from Logic Smoke will be your new favorite flavor if you're looking for something that has a bold tobacco taste. This is one of our top selling e-liquid flavors, and for good reason. It is modeled after the famous Turkish tobacco and will satisfy your cravings for excellence. Pick up a bottle of our nicotine vapor liquid today.